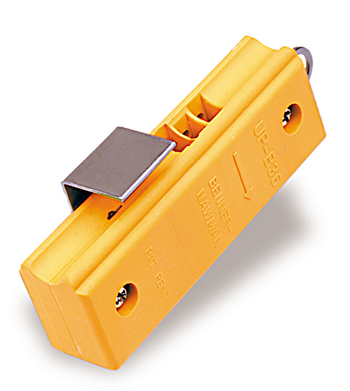 The UP-B36 Slitter is a small hand tool used for slitting 1, 2, and 5-pair buried or overhead drop-wire and for sheathing up to 25-pair communication cable. This sturdy slitter is only 4″ long and attaches conveniently onto a utility belt. There are no exposed blades eliminating the risk of an injury or accident. This tool takes interchangeable and replaceable blades to assure a sharp cut every time. The tool can also be used for fiber optics.